The NSW Government contracted YGP for design conception through to tender documentation. We were tasked with the challenge of redesigning both the building’s interior and exterior to improve functionality and comply with various restrictions that apply to community facilities. As a place meant to support needy families, foster children, victims of domestic abuse, the homeless, and other vulnerable citizens, the centre’s new design had to not only be sympathetic to their needs, but also enable staff to serve them effectively. Our design scheme envisioned a completely new layout that included private interview rooms, a “quiet room”, a kitchenette, and other practical amenities. We gave this commercial space a complete interior fitout, rendering the space ready for use. 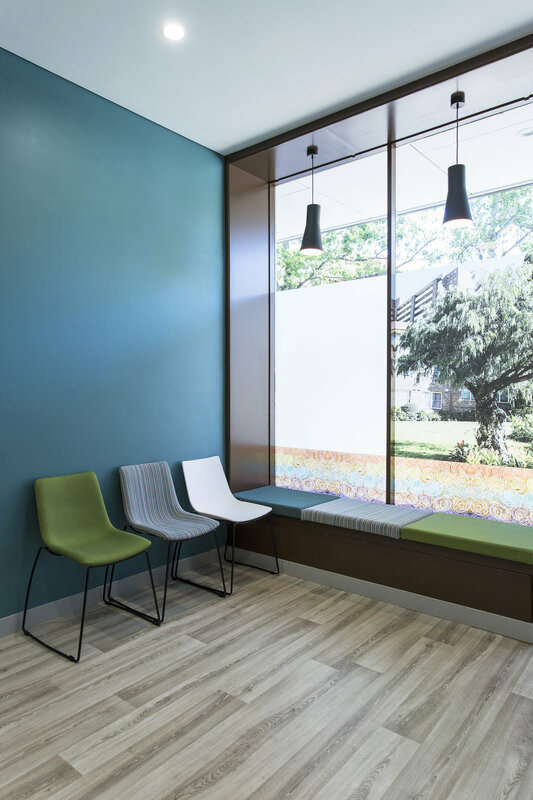 With a bright colour palette and sleek finishes, the interior’s new contemporary look creates a welcoming environment for both staff and the citizens they serve. Tackling the building’s exterior came with a few obstacles, such as roof drainage issues and water damage. The lot’s courtyard space was also in need of an upgrade to its aesthetics and usefulness. Our team assisted the construction team by advising throughout the building process, which has just recently been completed. 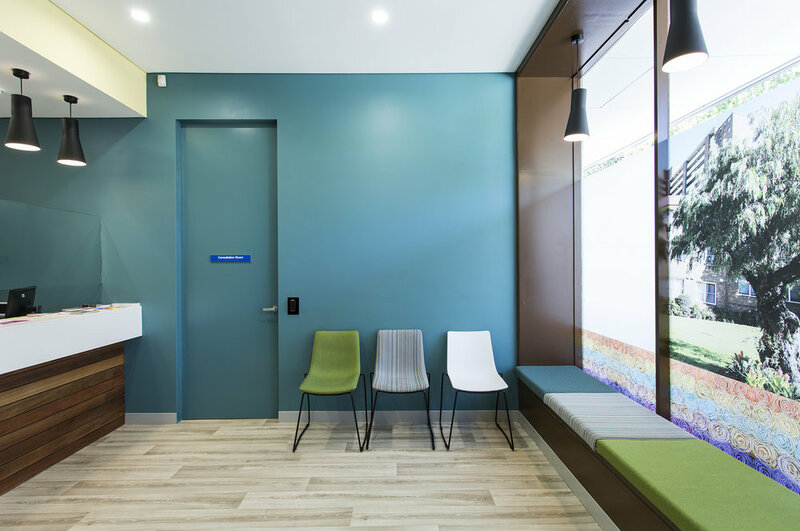 The end result is an economically-built, appealing community centre that helps the government provide essential support to the residents of Surry Hills. Project Managment by Charles Chen of LAHC. Construction by Asset Group Services. Photo by William Mallat.